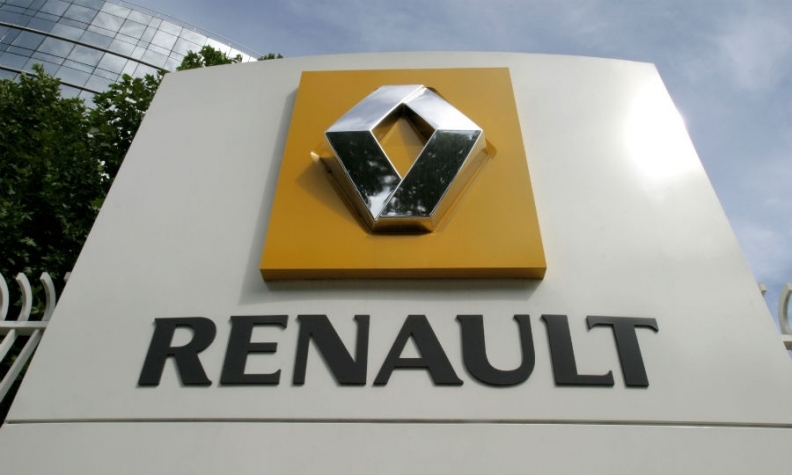 BRUSSELS (Bloomberg) -- Renault is facing criticism over the time it took to reveal that French investigators had probed three of its sites on Jan. 7 looking for evidence of cheating in emissions tests. The raids remained a secret for nearly a week until a trade union mentioned the news almost as an afterthought in a leaflet about jobs. If management thought the visit wasn't worth mentioning, they were quickly proven wrong. The stock slumped 23 percent, wiping out 5.8 billion euros ($6.4 billion) of market value before recovering to close down 10 percent. Renault later issued a press release confirming the raids, while trying to stem the sell-off by saying nothing sinister had been found. Investors panicked as the specter of a Volkswagen Group-type scandal loomed after revelations that the Economy Ministry's fraud office visited the company's headquarters as well as sites in Guyancourt and Lardy. Lawyers said Renault should have disclosed the raid itself and may face legal claims. At the very least, they said the incident may have undermined its reputation with shareholders. "Renault management risks being seen as untrustworthy or simply as stupid," said Erik Gordon, a business professor at the University of Michigan. "The news was surely going to come out. Management should have been the ones to announce it, not the ones who look as if they foolishly hoped to conceal it." Renault said that it's cooperating fully with the investigation, without providing details on what may have been seized. The company remains confident about the results of the investigation and it never used software to cheat on emissions tests. "We never comment on these sort of operations," spokesman Bruno Moreau said when asked why Renault didn't reveal the investigation itself. Commenting on raids "only feeds the rumor mill." It could be argued that stock during that time traded at an artificially inflated price, said Edouard Fremault, a partner at Deminor Recovery Services in Brussels, which represents minority shareholders. This raises the possibility that the automaker could be sued by people who bought shares in the days between the raids and the disclosure, according to one analyst. But French law is less settled on the point and the company will likely be able to argue that there was a legitimate interest in delaying any communication about the raids even after the company's market value dropped more than 20 percent. "Renault must have made use of that provision in this case" which allows a listed company to depart from its obligation to communicate, according Hubert de Vauplane, a lawyer at Kramer Levin Naftalis & Frankel LLP. Automakers have been under increased scrutiny since September, when U.S. regulators said Volkswagen Group cheated for years to make its diesel cars appear cleaner than they really were. The rigged engines were installed in 11 million vehicles worldwide, sparking lawsuits by the U.S. Department of Justice and state attorneys general as well as investigations in at least seven countries. As part of the backlash, French authorities started a probe in September into whether VW deceived customers about the emissions levels of its diesel cars and promised to expand the investigation to cover all carmakers. The results of the Renault probe may turn out altogether different to the VW investigation. While real emissions were found to be higher than in test conditions, no fraudulent systems have been discovered, and shareholders and employees should "rest easy," France's Environment Minister Segolene Royal said Thursday in Paris. Daimler, which uses diesel engines supplied by Renault for some of its models, said Renault has assured the German company it doesn't deploy defeat devices. A clean bill of health may protect the company from any lingering investor anger. Since the investigation hasn't found evidence of such a device, the company hasn't failed its duty of informing the market, said Ferdinand Dudenhoeffer at the Center for Automotive Research at the University of Duisburg-Essen. Still, "It was possibly unfortunate not to issue a statement after the raids as that's now causing rampant speculation," Dudenhoeffer said.